No self-respecting marlin can pass up a live tuna. There simply isn't a better bait. 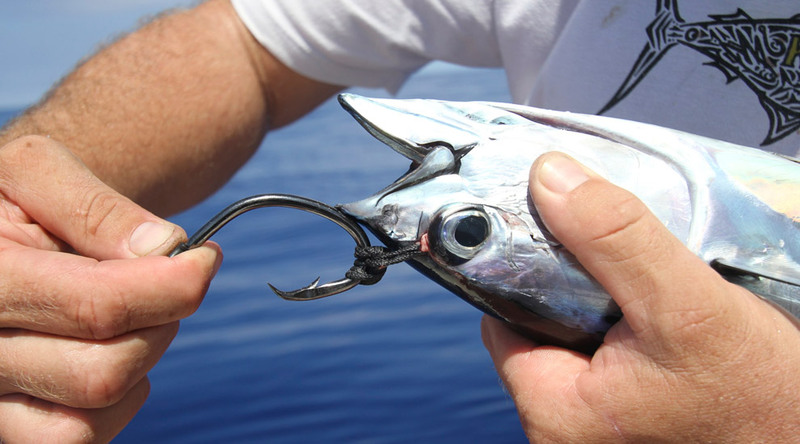 However, if you don't rig your baits properly, you'll lose more fish than you'll catch. Story and photos by KJ Robinson. 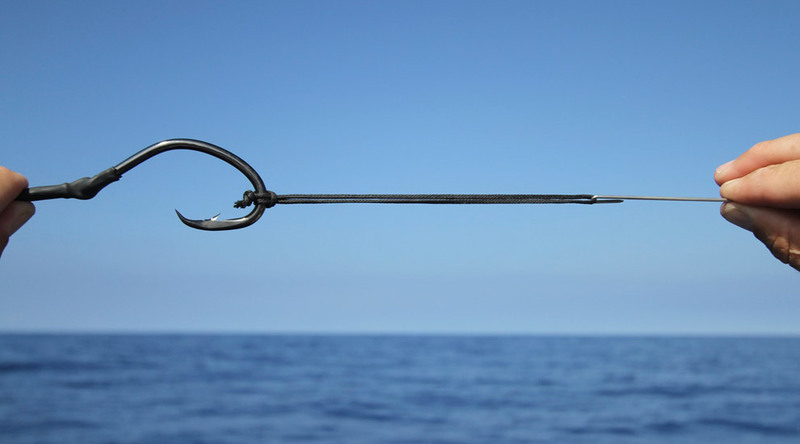 To rig up a live skipjack tuna, begin with an appropriately sized hook that is capable of hooking a large marlin or tuna. 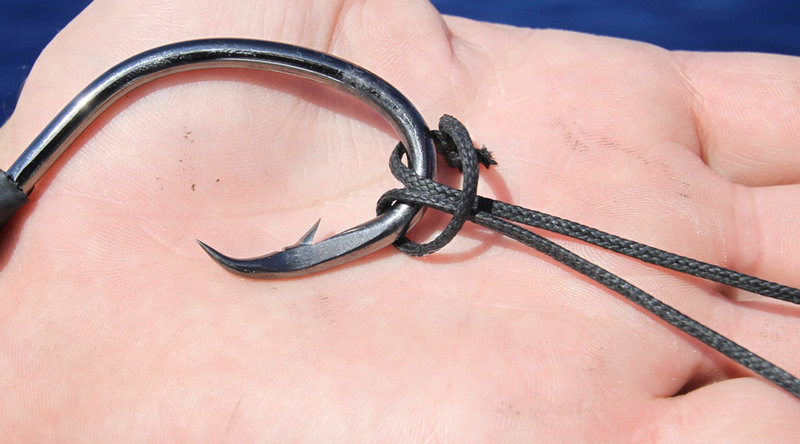 This 9/0 Owner circle hook is perfect for hooking a range of small to large predatory game fish that feed on small tuna. Create a bridle using a small section of 50- to 200-pound test Dacron. A bridle is a loop of line with the two ends connected. 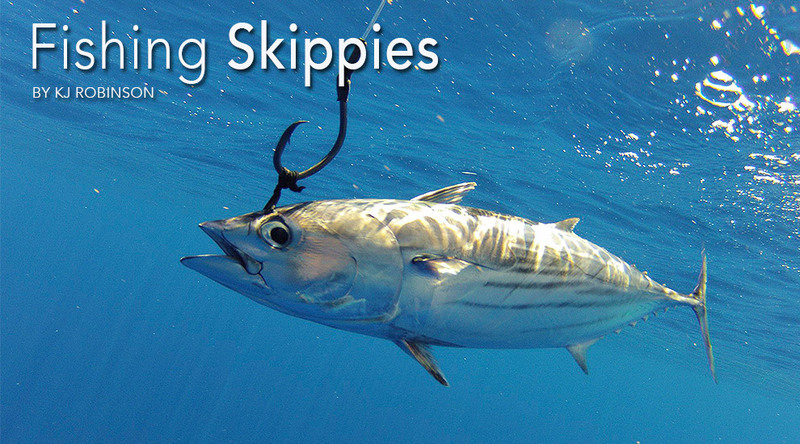 Bridles must be made to match the size of bait that you plan to rig up for marlin. You'll need larger loops for big baits and smaller loops for micro baits. Add the bridle to the hook as shown above, looping the bridle back through itself. This is a secure way to add the bridle to the hook while keeping the line from falling off of the hook while handling. 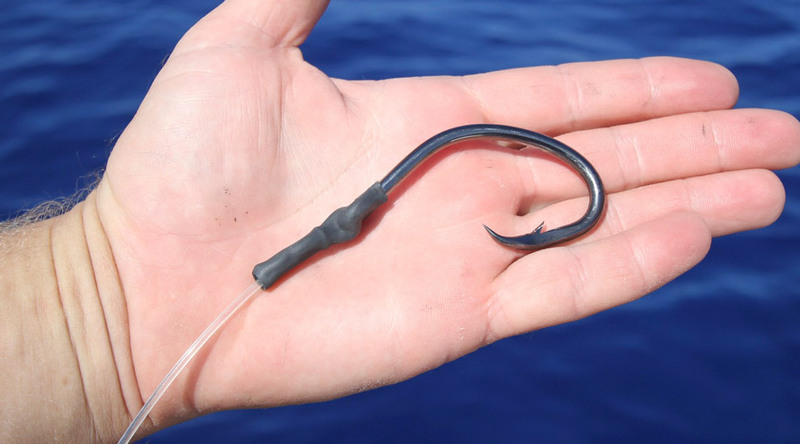 To attach the hook to the bait with the bridle, you'll need a bait needle. 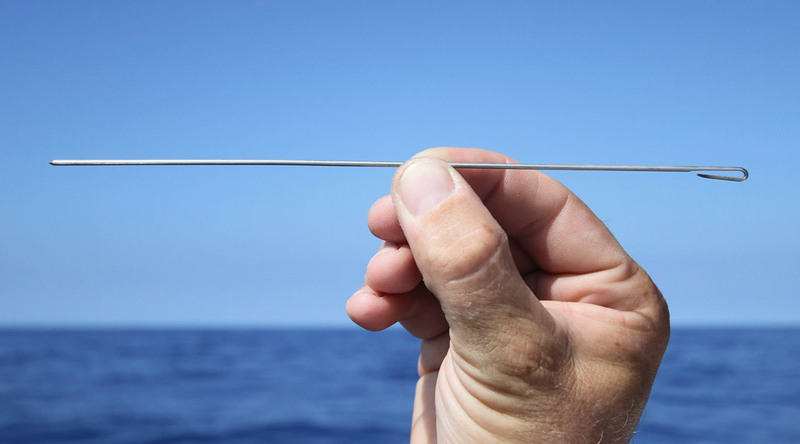 This needle is usually around 8 to 10 inches long with a rounded tip. When you're ready to place the hook on the bait, attach the bait needle to the bridle. Make sure to use the right type of needles. You'll want a needle with an open eye, so you can add and remove a Dacron bridle without snagging up as it passes through a bait. Now you need to catch some bait. 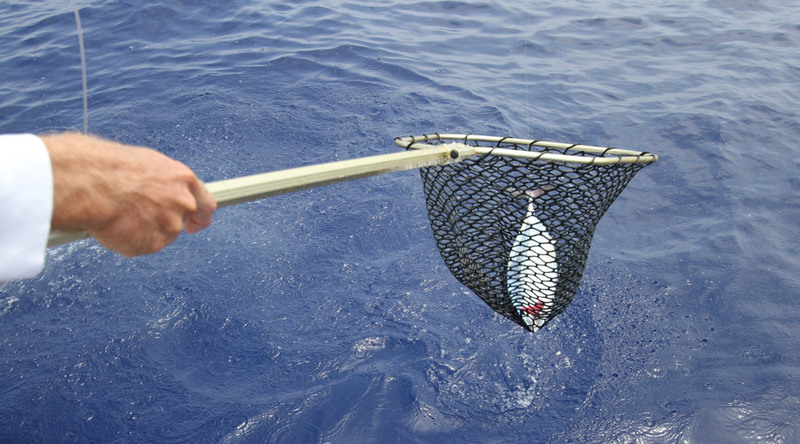 When you do hook a small tuna such as a skipjack or bonito, use a net when you get the tuna next to the boat. 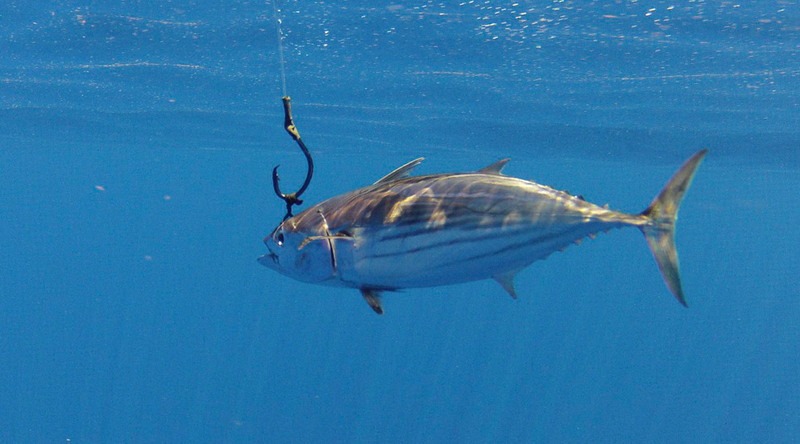 Yanking the tuna up and over the rail might help the tasty bait fall free. 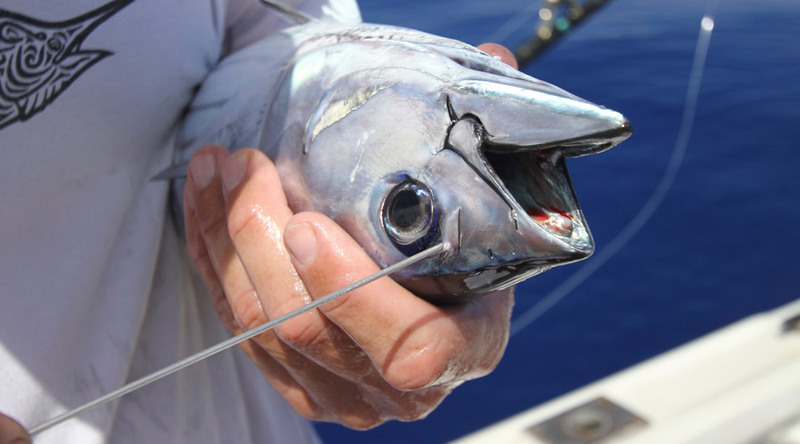 Once you've caught the bait, you want to do everything you can to keep the small tuna healthy and undamaged while rigging it up with the bridle. 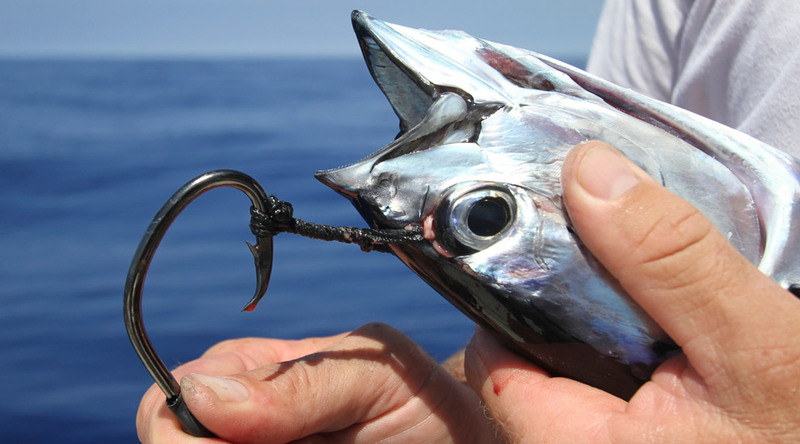 The small tunas can be a handful once in hand and tend to hurt themselves by shaking and kicking, also making it very difficult to rig them. 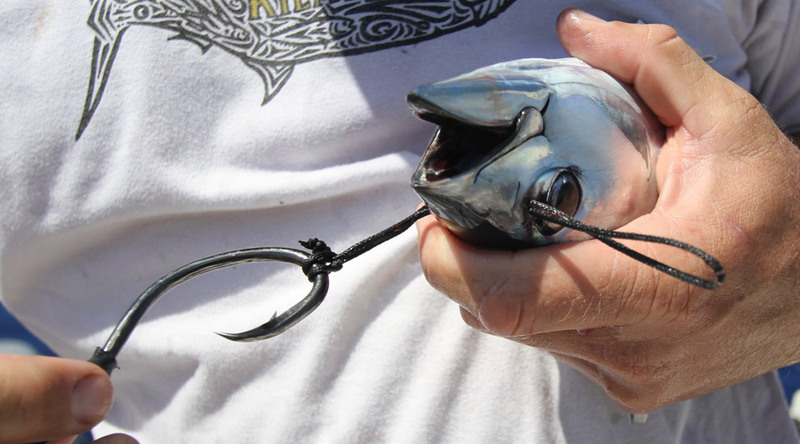 To keep these small tunas calm while rigging it is very important to hold them upside down. This makes them stop kicking and shaking just long enough to bridle them up and get the bait back into the water where they belong. With the tuna upside down and tucked up under your arm like a football you can begin the bridling process. Slide the tip of the needle into the bait just in front of the fish's eye being sure not to puncture the actual eyeball. The round tip on the needle is important here as it helps guide the needle though the empty eye socket of the fish. Pull the bridle through so there are two sections of it showing just in front of the fish's eyes. 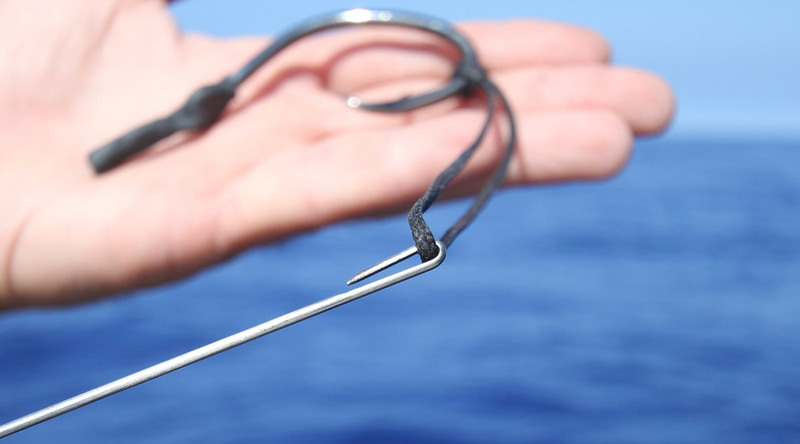 Once the bridle loop has come through the fish you can remove the bait needle but make sure that the bridle loop doesn't get pulled back though the fish before you secure it to the hook. Once the needle is removed from the bridle, quickly put the tip of the hook through the loop. Begin to spin the hook, twisting the two ends of the bridle tightly together. Keep spinning the hook until the bridle becomes snug on the fish. 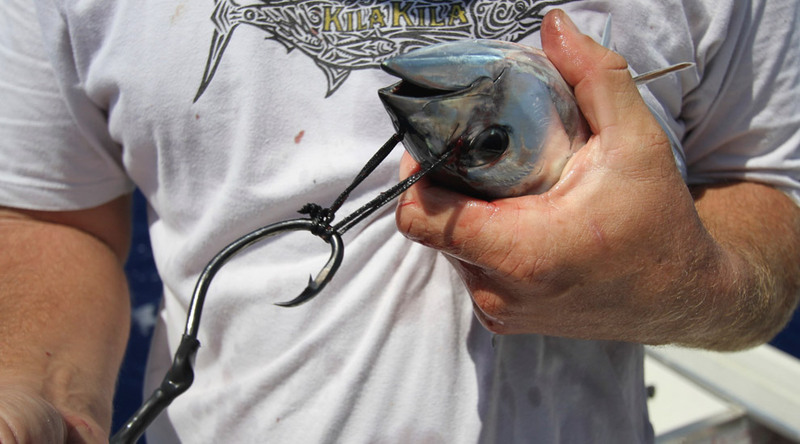 Once twisted snug, spin the hook around and push the tip of the hook through the bridle up against between the fish's eyes but carefully not poking the fish with the tip of the hook. Pass the barb through the bridle and slide the bridle to the center or bend of the hook. This will finish off the bridling and now you can place the bait into the water and begin fishing. 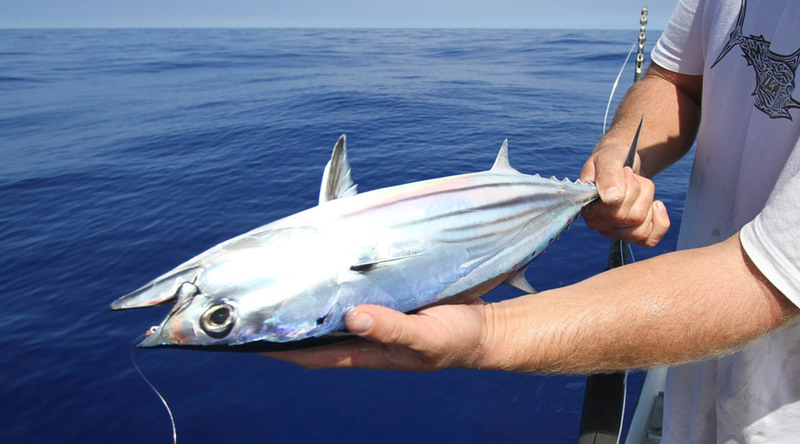 Bridling tunas is a effective way to catch not only marlin and tuna but a variety of pelagic fish. The bridle runs through the empty portion of the eye socket where no vitals are located. A bridled tuna can live all day long if handled with care and bridled quickly. 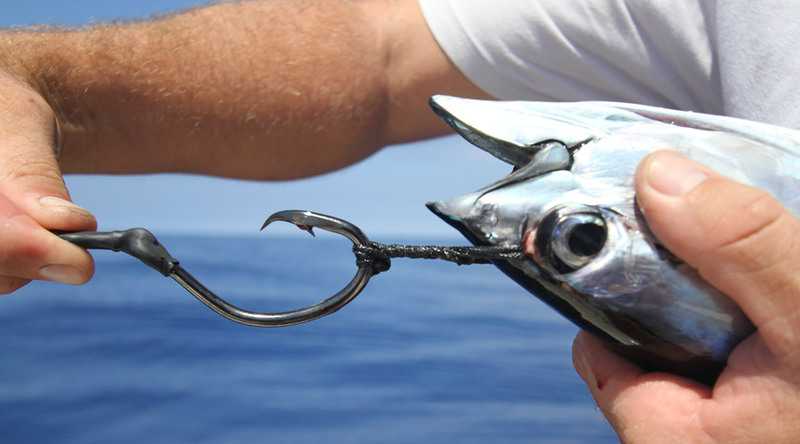 The faster the tuna gets back into the water, the better the bait will swim. Hopefully it won't be out there all day and gets eaten by a big billfish.